Does California have an inheritance tax? 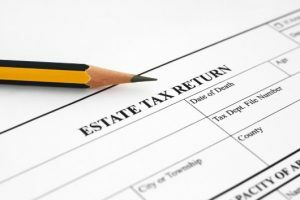 Does a Deceased Persons Estate Owe Federal Estate Tax? 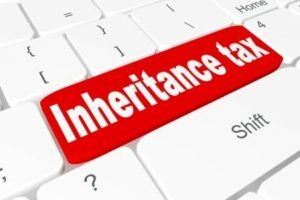 Are There Any Exceptions to Inheritance Taxes? Randy Warshawsky, an Enrolled Agent, discusses California inheritance tax, tax exemptions, and tax consequences when we inherit property. Randy Warshawsky is an Enrolled Agent and tax professional. He established his firm in 1986. The Tax Man is a full Accounting firm located in San Jose, CA. If you need help understanding tax exemptions and inheritance tax in California, give Randy a call. Randy may be reached at 408-445-1151 or www.4taxman.com. The answer is, no. We used too many years ago but that went away when the federal government stopped the credit on it. Now, you are going to have some tax consequences if you inherit property. You are either going to sell it and you are going to have capital gains on it back to the date of valuation or the date of death or you are going to rent it out and you have tax complications with doing so. The decedent does have final tax returns that need to be filed depending on how much income the decedent received in the year of death. With the sale of the property or renting out the property, you are going to have property or trust tax returns depending on if it is an estate or a trust there will be tax returns that need to be filed if income if income is $600 or more in the year. If the estate does not do anything, the trust does not do anything in the year, does not have any interest or dividends and you are holding the property waiting to sell it, there are no filing requirements but you should take a look into that. 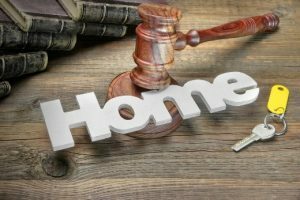 The difference in inheriting property through an estate, a trust or intestate, where the person does not have a will or a trust is exactly the same to the recipient. 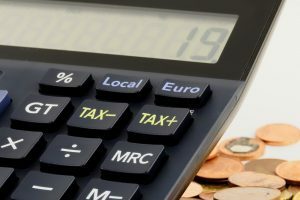 Depending upon what you inherit, there could be items which would be taxable when you sell which would always be items that are tax-deferred like an IRA retirement type account. For property you get the basis as of the date of death for the decedent then you go forward with that. You need to make sure that you find every nuance of the law to apply it to your client in the best way possible to save them the most amounts of taxes. There are black and white areas and grey areas. Some are black and white where you can’t do it and some are grey where you need to make sure you structure it where you can do it. I have worked on plenty of tax returns that were prepared by others that are weekend warriors doing this profession during tax season or retired from the profession and they are not keeping up with their continuing education. Make sure you have somebody that is making sure they know what all the current laws are – especially with the major changes we have for the tax year 2018. For most people, it is a once or twice in a lifetime thing that they are doing. You are not doing this every day. You need to have a professional to guide you through and make sure that you have crossed every T and dotted every I. When someone dies, the estate does not owe federal estate tax if the person dies with less than the amount of the exemption. Often referred to as a death tax does not apply in the state. Beneficiaries and heirs get their inheritance and do not pay tax. When we inherit property, they do not consider its ordinary income. That means we do not pay income tax. As mention above there is no federal tax if the person dies with less than the amount of the exemption. Tax laws, tax rates, and tax relief are subject to change. Always get legal advice and tax advice from a trusted tax law professional well versed in estate tax regulation. The deceased person’s estate may be subject to a death tax, or federal tax. It is the estate that pays the tax, not the beneficiary or heir. If a person dies with an estate greater than the exemption, a tax is levied on the property. They set the exemption amounts for single persons and married couples. Only the richest are subject to estate tax due to the high dollar amount of the exemptions. Residents who inherit property from someone who lived in a state that collects the tax should expect to receive a tax bill. Get the legal advice you need to avoid the surprise of a tax bill if you were not expecting one. If you inherit a 401(k) or an IRA, income tax gets paid when the money gets withdrawn because the accounts are tax-deferred accounts. The deceased person did not pay taxes on the money saved into those accounts. Consult with retirement planning, or tax professional regarding your specific situation. Withdraw rules are complex. All plans are not the same. Contact the plan administrator to understand your options as the beneficiary. In Santa Clara County, real property tax gets paid to the Department of Tax and Collections. The Controller’s office distributes the property taxes to the jurisdictions. If the property gets inherited by a Will or a Trust, the property tax gets paid when due. If not, the county will impose late fees. If the real estate gets sold, delinquent property tax gets paid by the title and escrow company at the conclusion of the sale. If you need to sell real estate or want to purchase real estate with your inheritance, we are here to help. 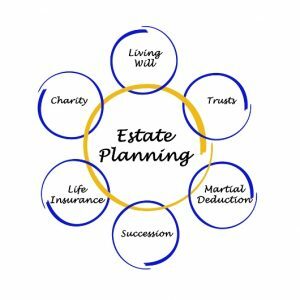 As discussed by Scott Carter in videos on this site, creating estate plans and living trusts is a means to avoid probate and avoid both estate tax and income tax. Scott discusses gift tax, estate tax credit, filing an estate tax return, federal estate tax, and provides examples of how living trusts get set up to avoid estate and income tax. I do not intend the information provided here as tax or legal advice. Always consult with a legal or tax professional well versed in the subject. It would not make sense to seek legal advice from an elder law attorney if we need help with student loans. We live in a highly specialized world today. Seek specialized help from a local professional.